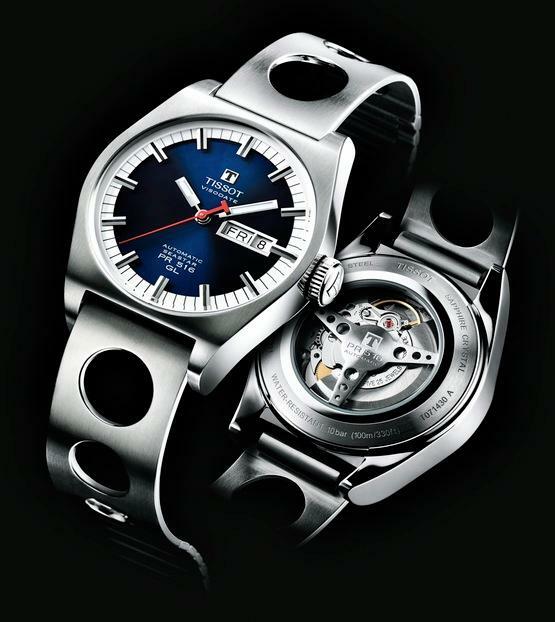 With Baselworld coming up fast in the rear view mirror, Tissot is introducing the Heritage PR516 - a racy motor sports inspired automatic model featuring the same dial markings as the iconic and much-loved Seastar PR 516 GL from the late 1960s. Tissot Heritage PR516 features a sophisticated Swiss-made movement, contained in a stylish stainless steel case - and quite probably a choice of PVD gold - with a punched steel bracelet that is both modern yet with a wonderful 70s-style echo of the past. The theme of motor racing is evident in the aerodynamic shape and slightly curved 40mm case with a unique sapphire backing. The three prongs are designed to resemble the steering wheel on a vintage 70s sports car. 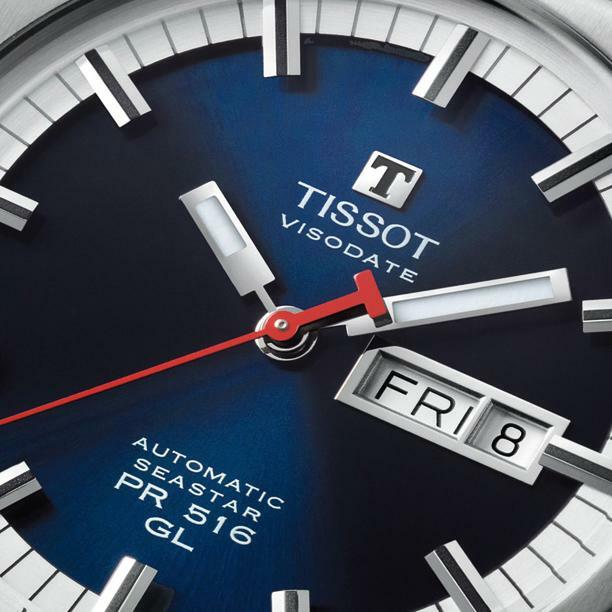 In all its variations, the new Heritage Tissot PR 516 is a guarantee of accuracy, elegance and performance. The PVD gold version will boast a leather racing strap like the original or the steel bracelet option. Expect the price to be nudging the rear bumper of $1000.